Objective: Identify important information in pesticide labels and the meaning of that information. when to read pesticide labels. Show some labels and discuss what they say. Discuss how to use the information and why it is important. Review the Safety Data Sheet (SDS) for the same product. Compare the information on the SDS and the label. Note: Do not use the label on an open container for demonstration purposes. Obtain sample labels from a dealer or from the Internet. Or, use labels on unopened containers. 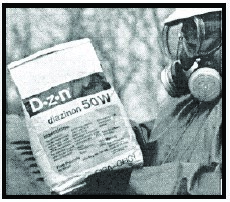 Before applying pesticides, workers must know what the label says. The label is the law! Workers can use pesticides safely and correctly if they read the label. Before purchasing the pesticide. The pesticide must be registered for your intended use. You must make sure there are no restrictions that would prohibit its use. Before mixing and applying the pesticide. Understand how to mix and safely apply the pesticide. Know the first aid needed if an accident occurs. Before disposing of unused pesticide and empty containers. Workers must prevent environmental contamination and human health hazards. Reduce carryover; buy only what is needed for this season. Try to find a use for all of the pesticide. Never pour pesticides down a drain. Pesticides are hazardous waste. Follow state and federal regulations when you use them and dispose of them. For more details on pesticide safety, see the Tailgate Safety Training module Mixing and Spraying Pesticides. What Information Might the Label Contain? Brand name. The name the manufacturer gives to the pesticide. Chemical name. The name chemists use to describe the chemical structure of the pesticide. Common name. Most pesticides also have an official common name. For example, horticultural oil is a common name. Common names and brand names are not the same. Not all labels list a common name. Formulation. Labels always list the formulation type. Some examples are emulsifiable concentrate (EC), wettable powder (WP), or soluble powder (SP). Ingredients. The label lists the percentage of active and inert ingredients by weight. Inert ingredients do not have pesticidal action. Contents. The label lists the net contents, by weight or liquid volume, contained in the package. Manufacturer. The label always lists the name and address of the manufacturer. Registration and Establishment Numbers. The Environmental Protection Agency (EPA) and other agencies assign these numbers. Keep track of EPA numbers if there are problems or recalls. Precautionary statements. 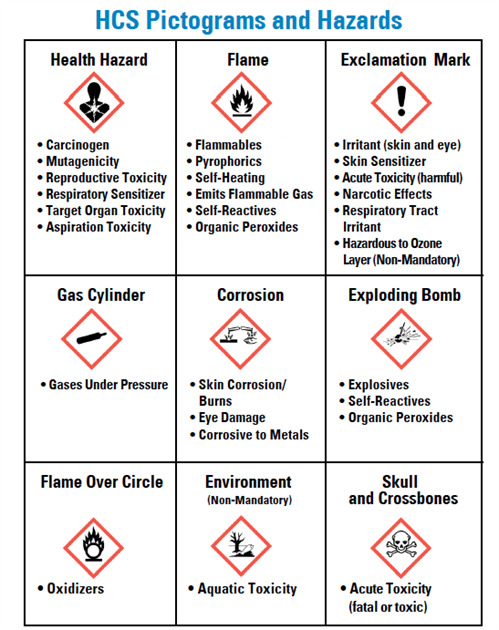 These describe the hazards associated with the chemical. Precautionary statements tell why the pesticide is hazardous, list adverse effects, and state what PPE must be worn. Statement of practical treatment. This tells what to do in case of accidental exposure. Statement of use classification. The EPA classifies pesticides as either General-Use or Restricted-Use. Restricted-use pesticides can harm people, animals, or the environment. Directions for use. The directions tell how to apply the pesticide. They include how much to use, where to use it, and when to apply it. They also include the preharvest interval for all crops whenever appropriate. Misuse statement. This tells users to apply pesticides according to label directions. Re-Entry Interval (REI) statement. Sometimes, a certain amount of time must pass before a person can re-enter an area treated with a pesticide. This is the REI. The REI is included on the label or in state regulations. Storage and disposal directions. Improper storage can cause some pesticides to lose their effectiveness. It can also cause an explosion or fire. The label contains directions for proper storage and disposal. Warranty. The label informs you of your rights as a purchaser. It also limits the manufacturer’s liability. The Safety Data Sheet (SDS) also contains information on the pesticide. For more detail, refer to the Tailgate Safety Training module Safety Data Sheet (SDS). Always read the labels before applying pesticides. Know what the warnings are and what they mean. Signal words identify the toxicity level. They represent relative risk. Know the signs of exposure before opening a container. Watch for those signs while working with the pesticide. Know the recommended response to accidental exposure before working with or around pesticides.